If you're a follower on Instagram, you will know that I do a lot of cleaning stories. 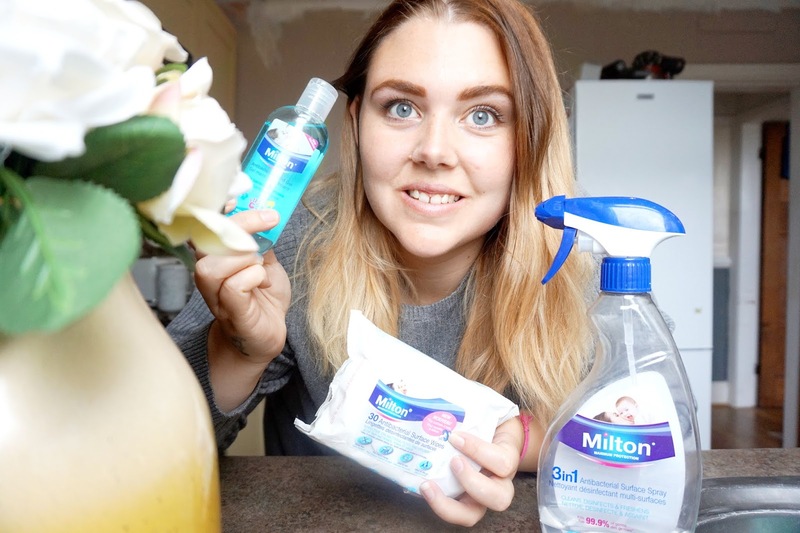 I share my favourite cleaning products on there, as well as on my YouTube Channel. I have a mix of sprays, wipes and anything cleaning related. I feel strongly about surfaces, toys, dummies etc. to be germ-free. But of course, having three kids, working from home, everything can be a little hectic. 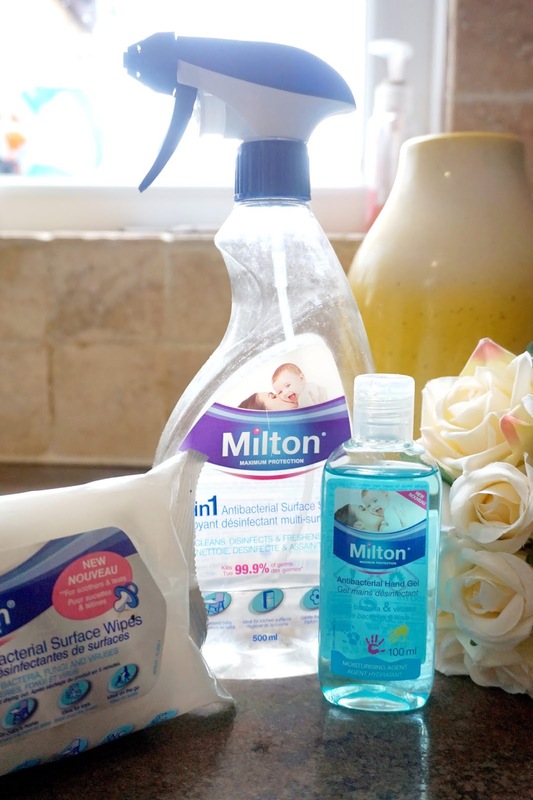 But one reason I do love Milton products is that they have products that you can use on the go. 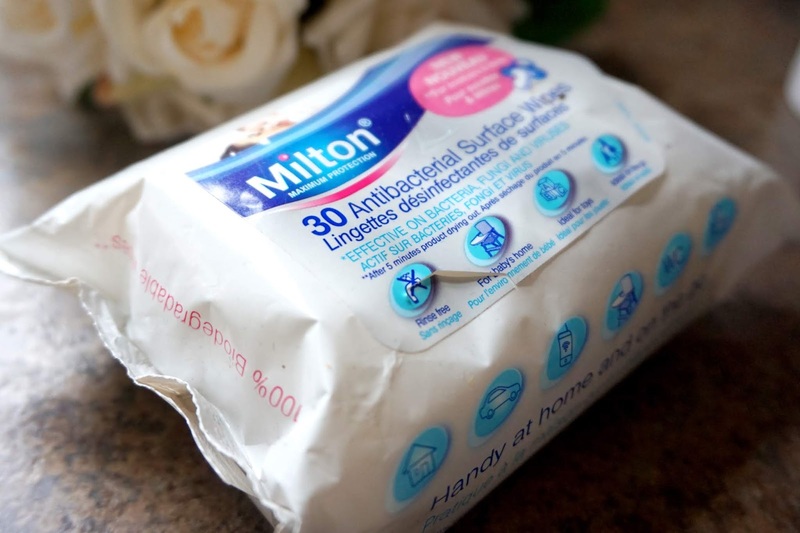 Milton have Antibacterial Surface Wipes which are fab for wiping tables/highchairs down when you're out and about, wiping dummies if they've been dropped, quick clean to the toys and the pack is the perfect size for packing away in your bag. 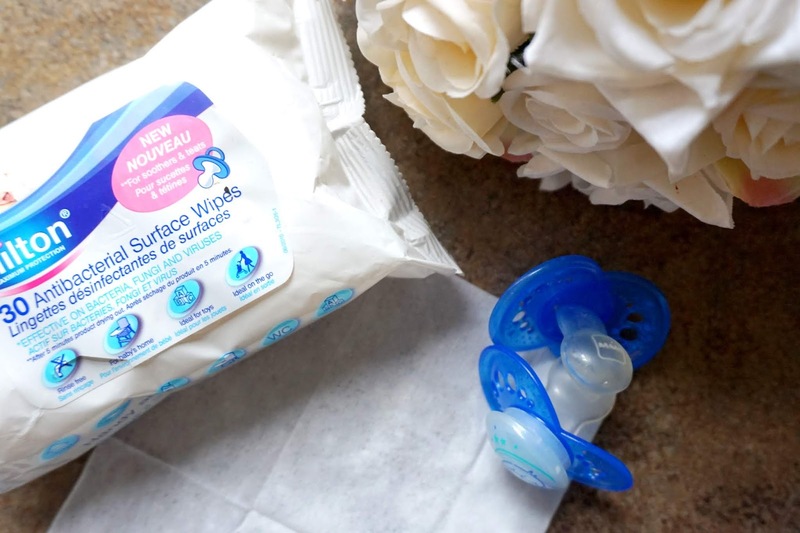 I have used these wipes for cleaning Freddie's dummy and toys to get rid of any nasty germs. I've also used them while we have been out for food too as they fit great in my handbag. 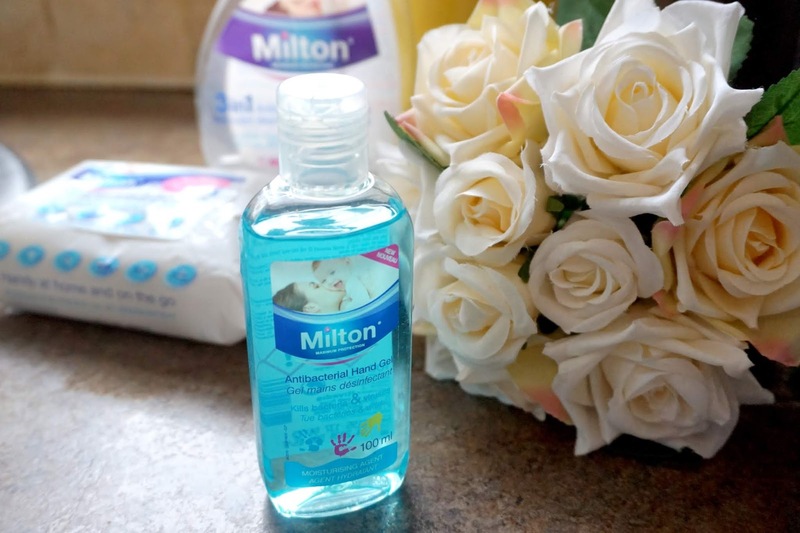 Another of their products that fit great in a handbag or baby changing bag is the Milton Antibacterial Hand Gel. This is great to kill bacteria and viruses. It also has a plant-based moisturise to help protect your hands. There is no need to rinse once you've rubbed some in your hands as it's quick drying. 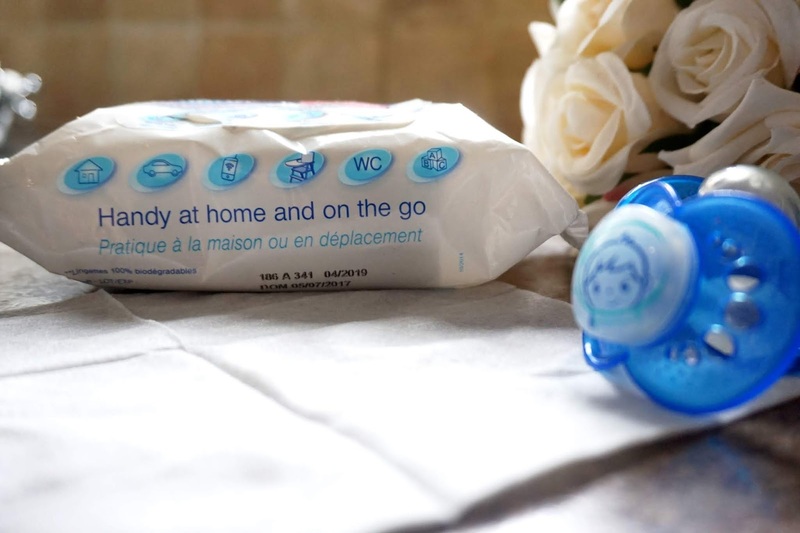 Great to put in your bag when you're out and about. We all know how many germs there are on public handle doors and anywhere else that anyone else's hands touch. 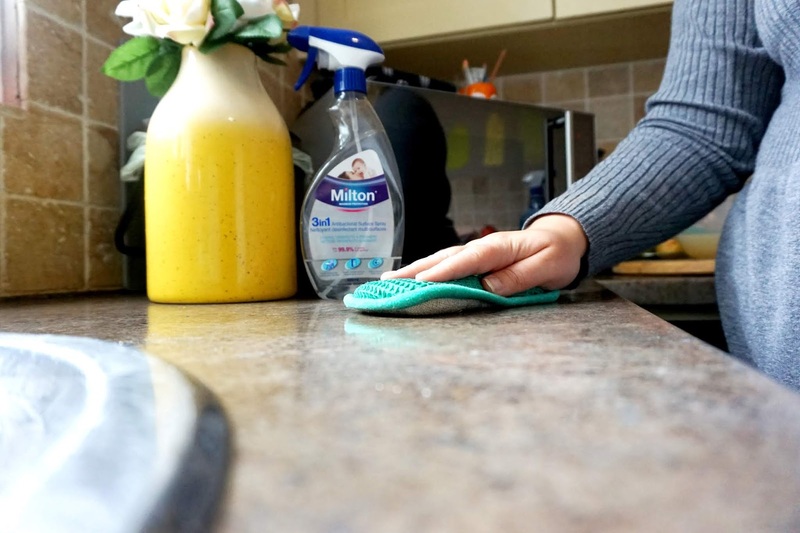 Moving on to my kitchen cupboard, one of my firm favourite sprays as to be the Milton 3in1 Antibacterial Surface Spray. 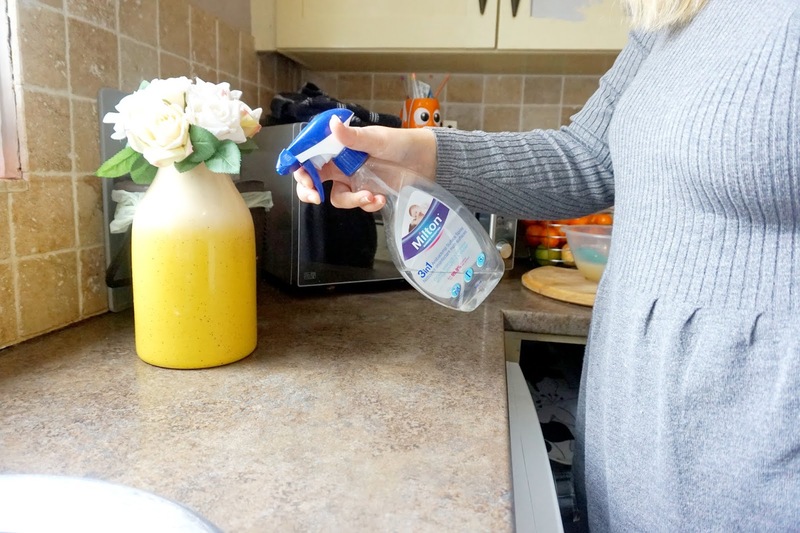 It kills 99.9% of germs, and it's great for cleaning kitchen surfaces, dining tables, highchairs, toilets, sinks etc., and it also has a lovely gentle fragrance. It's bleach and alcohol-free spray that leaves a lovely scent after cleaning.